Neighborhood groups will assign neighbors to organized units to patrol streets. These members are trained to identify problems and engage law enforcement to intervene when they believe a crime is occurring. The members are also trained to understand the needs of your neighborhood and to report back on problems identified during their patrol. Every member must be trained by the St. Louis Metropolitan Police Department (SLMPD). 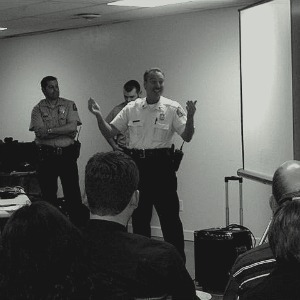 To set up a training please contact Sergeant Catherine Dennis at the SLMPD by calling 314-444-5638 or clicking here.